Suleima Lodge, Batokunku Best Price Promise! Suleima Lodge tastefully blends the highest standards of luxury with the natural colours of Africa. 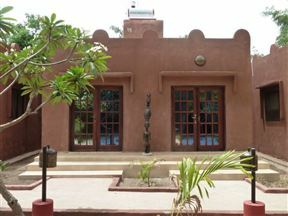 The architecture is inspired by the 14 century living adobe styles of the Mali Empire, which once spanned across much of Sahelian West Africa.